Wilmington Plastic Surgery is pleased to offer nonsurgical and noninvasive Ultherapy, a revolutionary treatment that uses ultrasound and the body's own natural healing process to lift, tone and tighten loose skin on the brow, neck and under the chin. NOW THERE'S A WAY TO STAND FIRM IN THE FACE OF GRAVITY: ULTHERAPY. The only FDA-approved procedure to lift skin on these hard-to-treat areas, Ultherapy works by using the safe, time-tested energy of ultrasound to stimulate the deep structural support layers of the skin — including those typically addressed in a surgical facelift — without disturbing the surface of the skin. With Ultherapy, there's no downtime, no foreign substances, no radical change; just a healthy revving-up on the inside for a natural, noticeable effect on the outside.  You can go about your day after a single, 60- to 90-minute procedure in the comfort of Wilmington Plastic Surgery's office. You may notice a short-term “boost,” but the natural process of creating new, more elastic, collagen builds over time — much like the effect that exercise has on building muscle. (But without the multiple workouts!) Results will unfold over the course of two to three months and some patients have reported continued improvement for up to six months, including lifting and tightening of the skin on the neck, under the chin, along the jawline, and on the brow. While ultrasound does not duplicate the results of surgery, Ultherapy has proven to be an inviting alternative for those who are not yet ready for surgery. To learn more about Ultherapy and the other rejuvenation procedures available to help you look, and be, your best, consult with the team of experts at Wilmington Plastic Surgery, the only practice in the region with four board-certified plastic surgeons. Learn about our other nonsurgical anti-aging procedures. Thank you for contacting us. We will be in touch as soon as possible!